So, this little girl’s mom wanted to tell me a story. Lupita attends one of our schools in Mexico and was so touched by our visit last year she couldn’t wait for us to come back. Our charity, Hope For Mexico, was just touring our schools last week unveiling the new rooftop patio covers we installed to help shade the kindergarten kids from the burning Mexico sun. 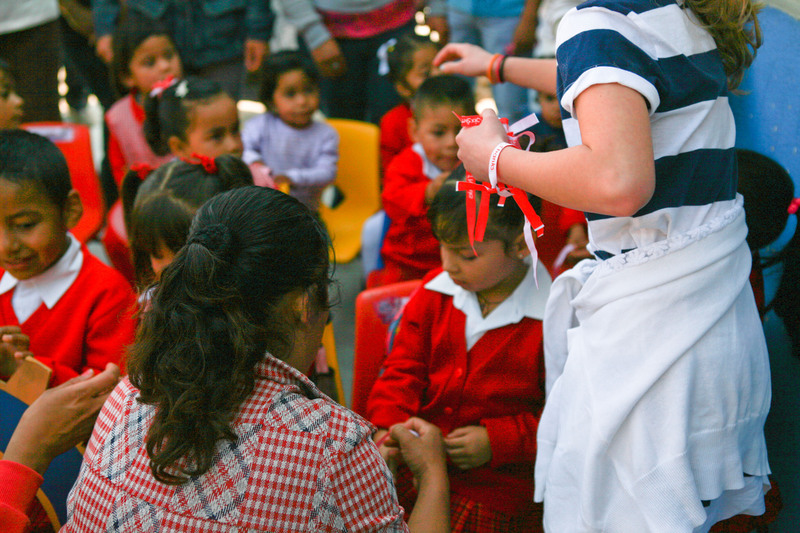 Last year, when we toured the four schools and delivered private school quality school supplies, we had fabric bracelets made that had Hope For Mexico embroidered on them and we tied them on all the kids wrists. Well, according to Lupita’s mother this bracelet was her favourite thing in the world and she refused to take it off. Her mother said, it got dirty from her playing outside but she insisted her mother wash it – but not take it off. So her mother scrubbed the bracelet clean while still wrapped around her daughter’s little wrist. Whoa, who knew such a small thing would delicately lay across a little girls wrist and bring such hope and inspiration. I wonder what she thought about when she looked at that bracelet after we left. Maybe, just maybe it opened her little mind to the possibilities of what this big ole’ world could offer. 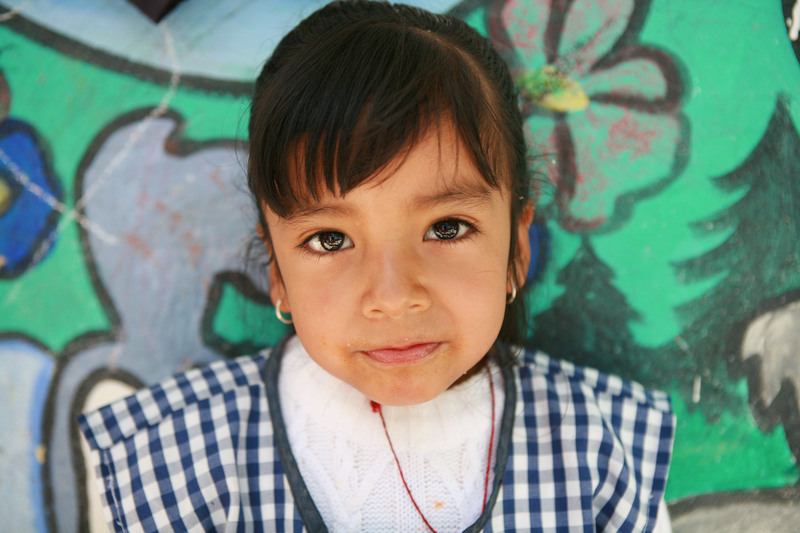 I know what you’re thinking….a great ending to this story would be that we pulled out a brand new clean bracelet for Lupita and the biggest smile crept across her face? Nope…..Cesar and I didn’t bring any fresh bracelets because we figured we already did that…no need to do it again. 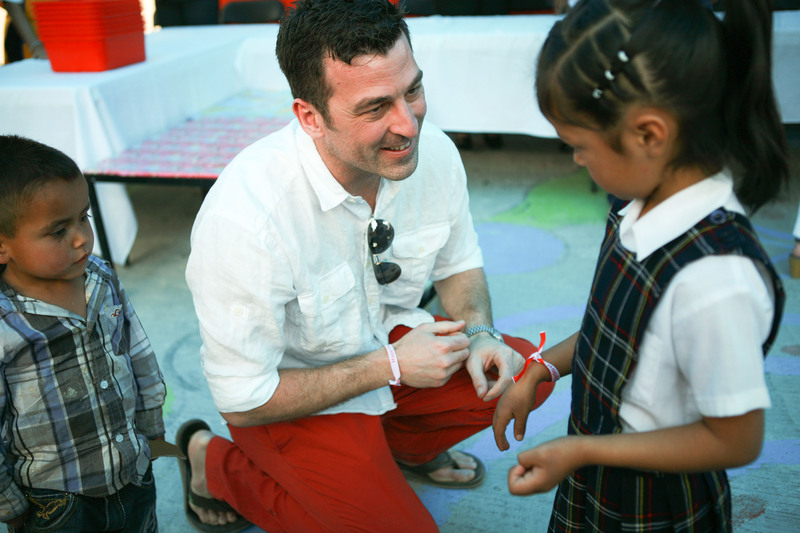 How wrong were we?…..guess we’ll just have to book another trip to Mexico and hand deliver some much loved and cherished Hope For Mexico bracelets. Couldn’t have planned it any better myself.